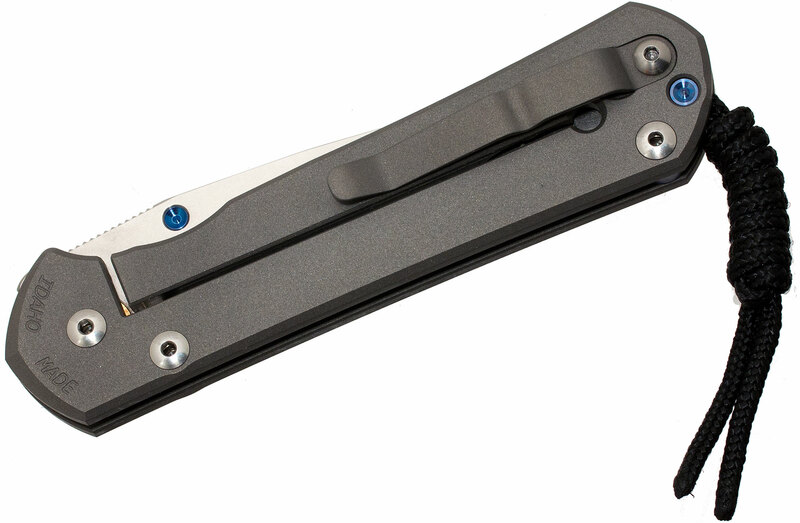 The folding knife that has become the yardstick against which others are compared, the Sebenza has earned a worldwide reputation for rock solid performance and a "bank vault" feel. It is the standard. Chris developed the first Sebenza in 1987 and the profile has experienced minor changes over the years. 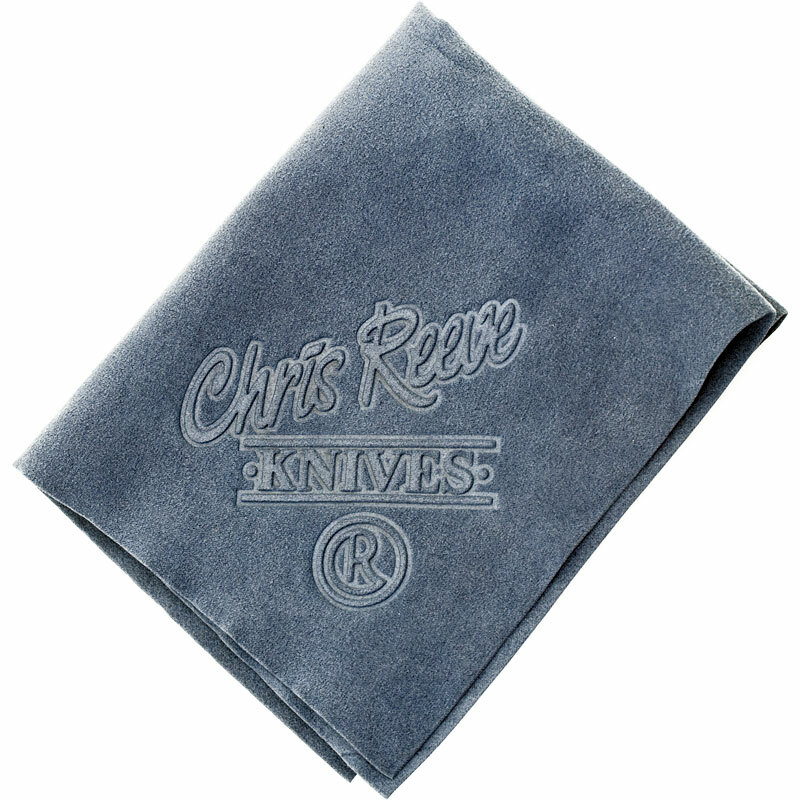 After the entirely handmade version came the Original profile in 1990, the Regular in 1996, the Classic in 2000, and eventually, in 2008, the 21st year of the Sebenza, Chris Reeve introduced the Sebenza 21. 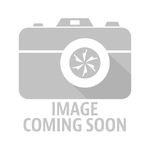 Designed for lifetimes of use, the Sebenza 21 was carefully developed to improve upon its predecessors. With every iteration, we seek to improve strength and longevity, while still maintaining the sleek profile and simplicity of the iconic Sebenza. Whether plain with a tumbled or "stonewashed" S35VN blade and sand blasted handles or embellished with a polished satin or Damascus blade, wood inlay or lavish graphics, each Sebenza is individually fitted to the closest tolerances. All Sebenzas are available in Large or Small, and dedicated Right or Left handed for the fullest user experience. Handle Thickness (Per Side): 0.125"
This knife if very classy! S35vn steel is very strong and sharp, I did strop the knife when I bought it. 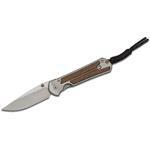 The para cord lanyard if also a fine touch for this knife, has a strong detent but overall this knife if awesome! I love this knife- had it for a couple of years and it's my everyday carry knife. I'm having trouble keeping it sharp. I've got the Damascus blade and despite my best efforts, it won't get sharp or stay sharp. It feels like the steel is harder than on my other knives. Any suggestions? That reason is you're the best. Chris Reeve Large Sebenza 21 has to be experienced to be appreciate. Tight tolerances, highest quality materials, impeccable workmanship, and a blade that could slices like a laser. This is an amazing knife, well worth the extra you pay for it. The item is not on our shelf, but we can get it in quickly. 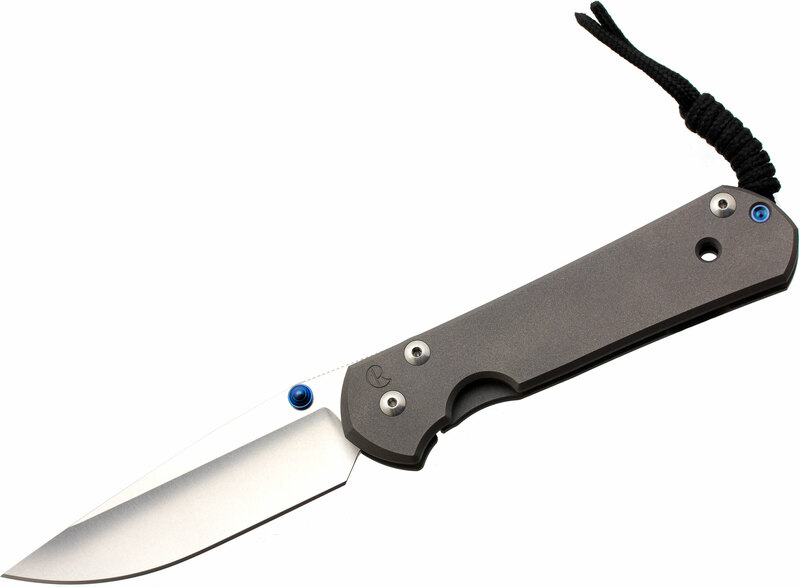 Sometimes we get it the very next day, but typically it will ship out within 1-3 months..
Hey, I wanted to share "Chris Reeve Large Sebenza 21 Folding Knife 3.625 inch S35VN Stonewashed Blade, Titanium Handles" with you from KnifeCenter.